Many moons ago when I was single and purchased my first home I lived next door to a wonderful elderly Italian couple. Ernie and John B. welcomed me into the neighborhood and into their home with open arms. I quickly became part of their extended family and was blessed with many delicious Italian treats Ernie always liked to share. Ernie was a great cook and I looked forward to her knock on my door to say she had something extra she wanted to me to try. Besides Ernie’s holiday pizzelles there was one treat I looked forward to eating. 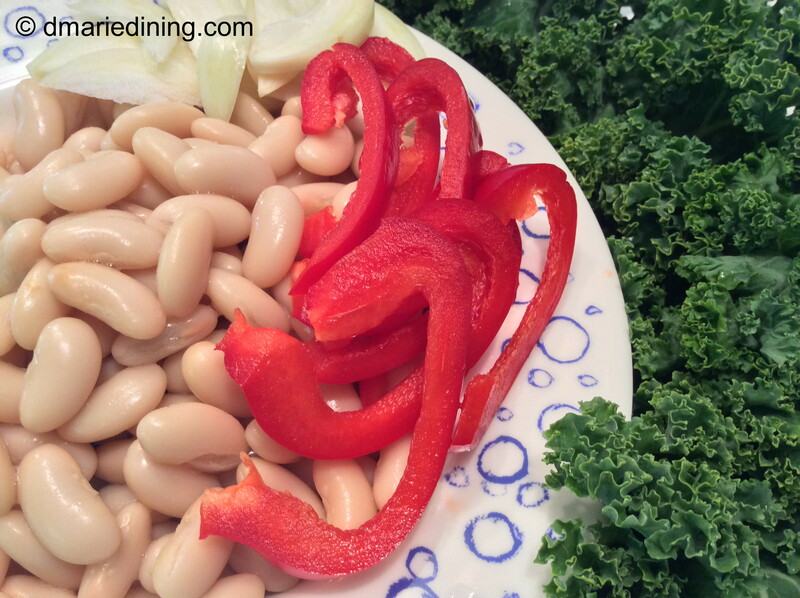 It was a simple cannellini bean and garlic dish made with olive oil and Italian seasonings. Simple but delicious. Probably the most important ingredient Ernie added was love. I have always said that food prepared with love is the best food in the world. I have since moved from the old neighborhood and my extended Italian family has passed on. I have fond memories of Ernie and John and only recently remembered her cannellini and bean recipe. In honor of Ernie, I decide to create my own version of her dish. 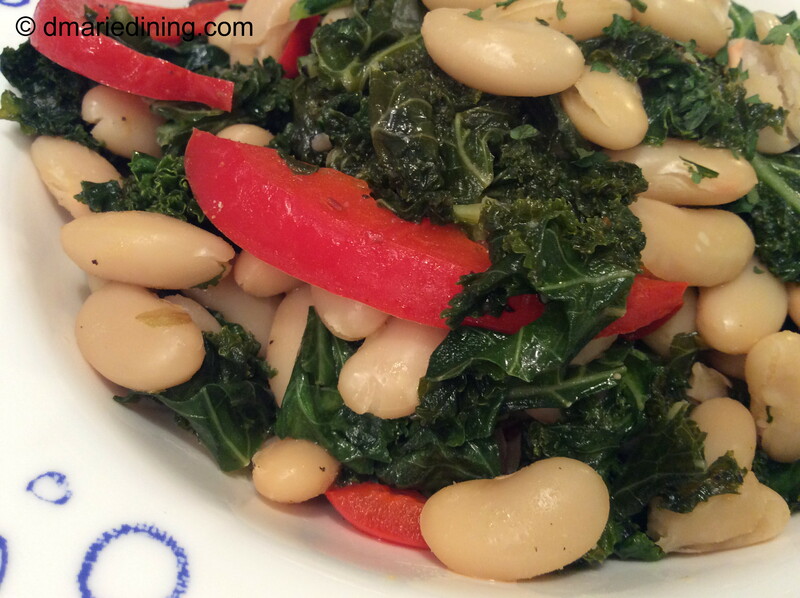 I souped up the cannellini and garlic by adding fresh chopped kale and red pepper slices for color. 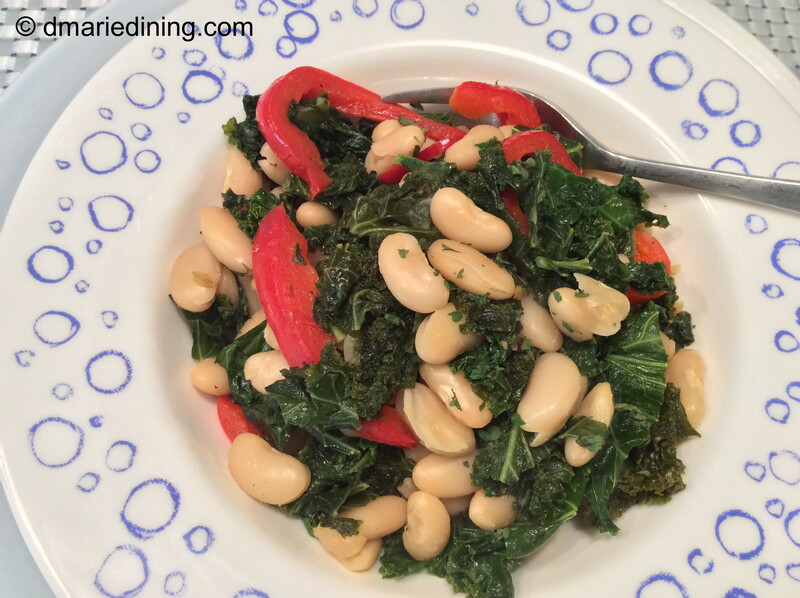 The creaminess of the beans, the sweetness of the red peppers and slight crunch of the kale ( I like it al dente in some recipes) created a ping pong of textures in my mouth. 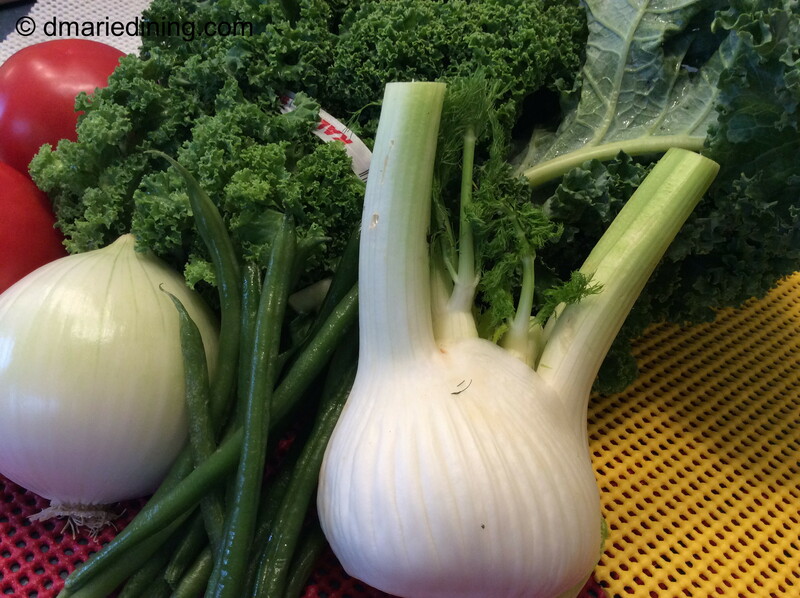 Throw in nice Italian seasonings and you have a fantastic side dish or meal. 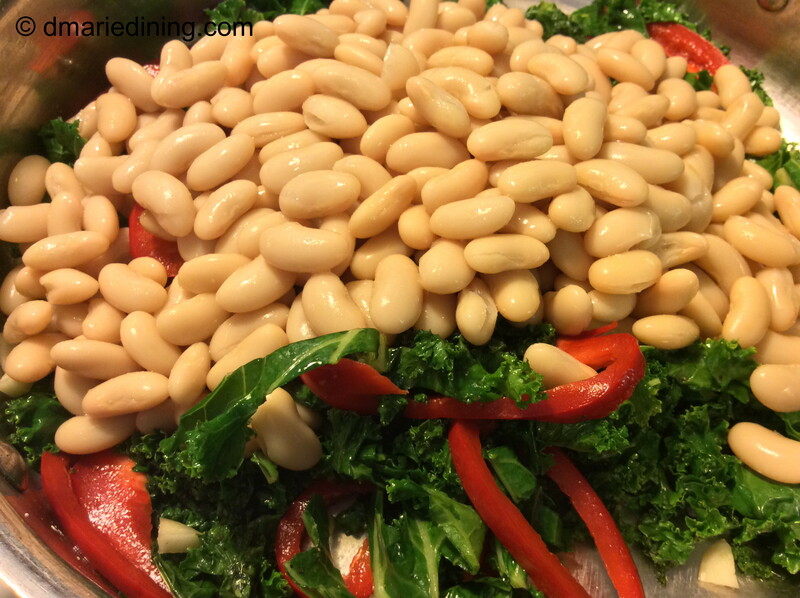 I think Ernie would be proud of my version of her delicious beans and would give me a big hug for honoring her memory. 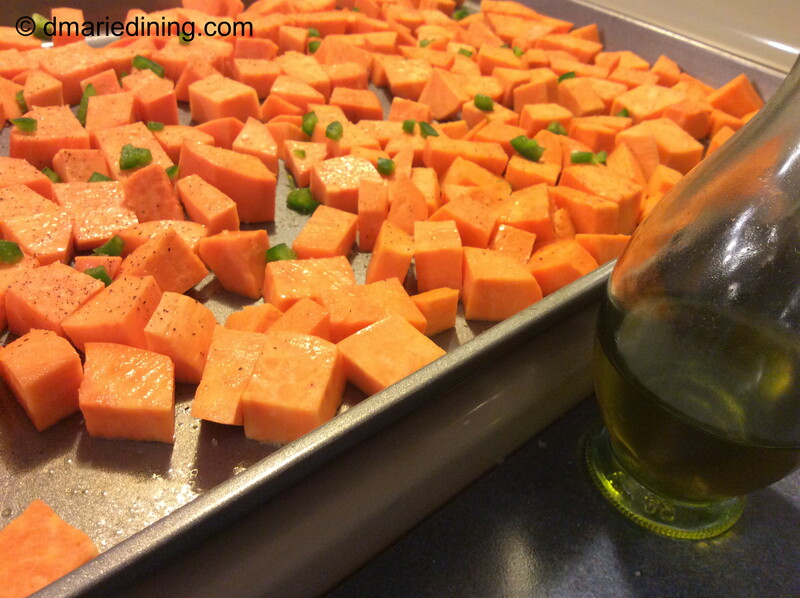 Heat olive oil over medium high heat in a large frying pan. 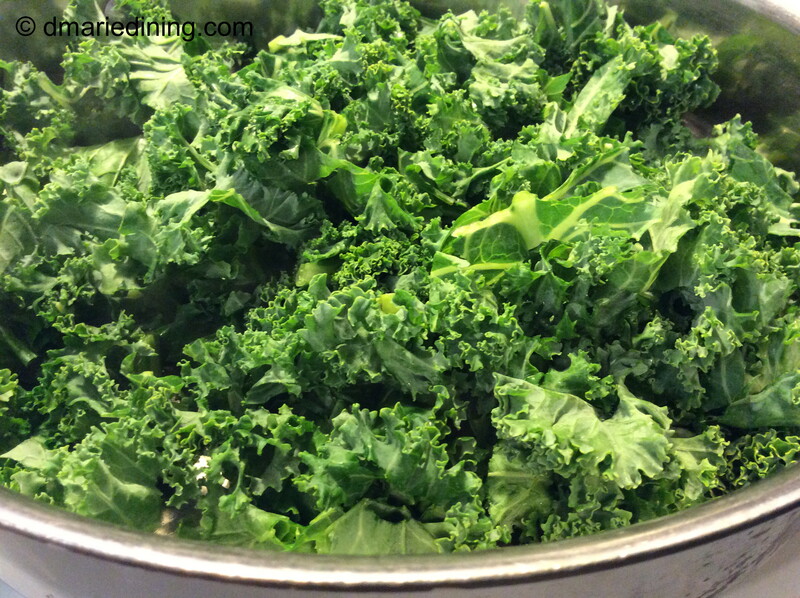 Add kale and saute until slightly wilted (cook longer if you do not like kale al dente) for 3 – 5 minutes. Add garlic, sliced red pepper and seasonings. Stir then add chicken broth and beans. 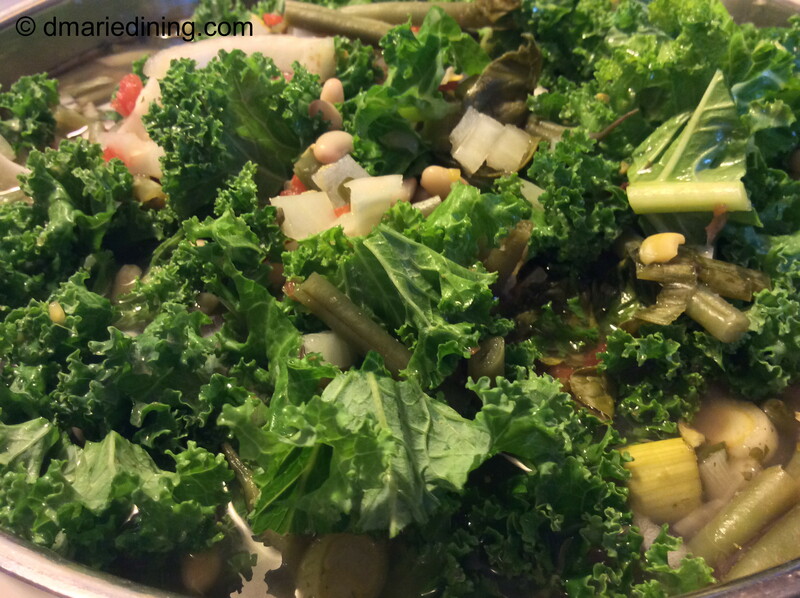 Stir to mix beans with kale and peppers. 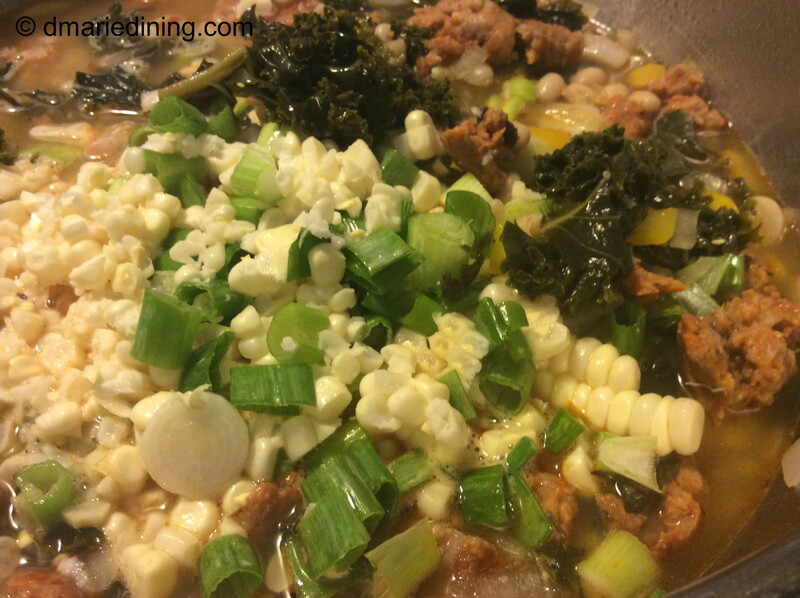 Reduce heat to medium and let simmer for 10 – 15 minutes. For me, eating soup is something you do all year round. Especially, during the winter months when the weather chills your bones and makes your teeth chatter kind of like today. I was up and out of the house early this morning and the thermometer was in the single digits. 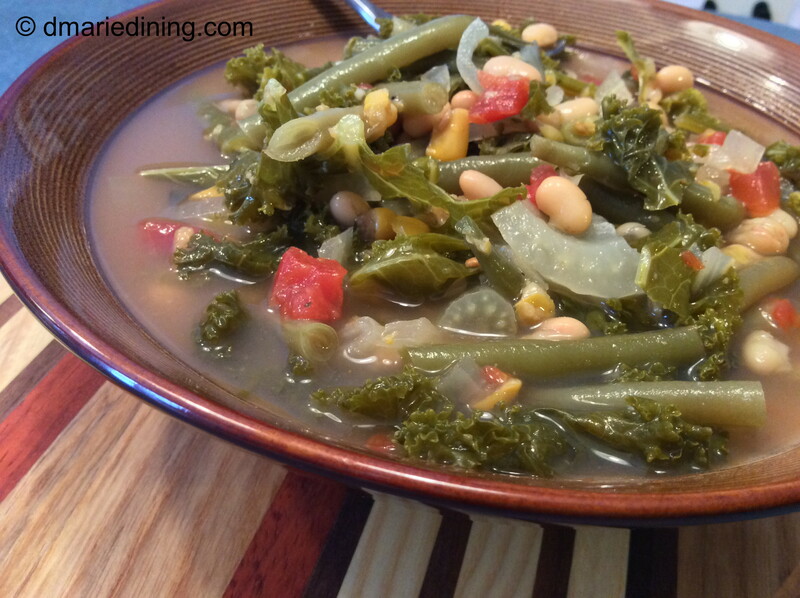 At that point, I knew I would make a hearty, healthy pot of butter bean and kale soup with smoked turkey. 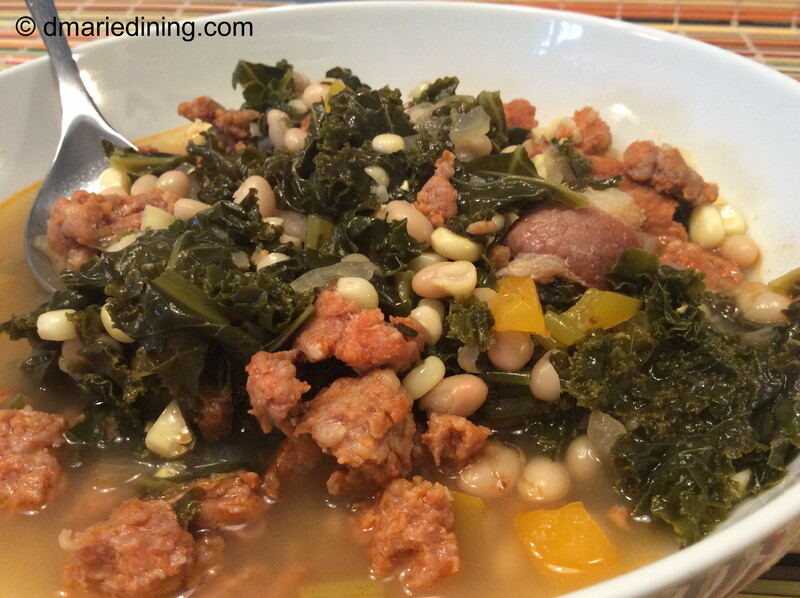 I am not sure of why I thought of this combination for the soup but since I love beans and I love kale I figured why not put the two together. 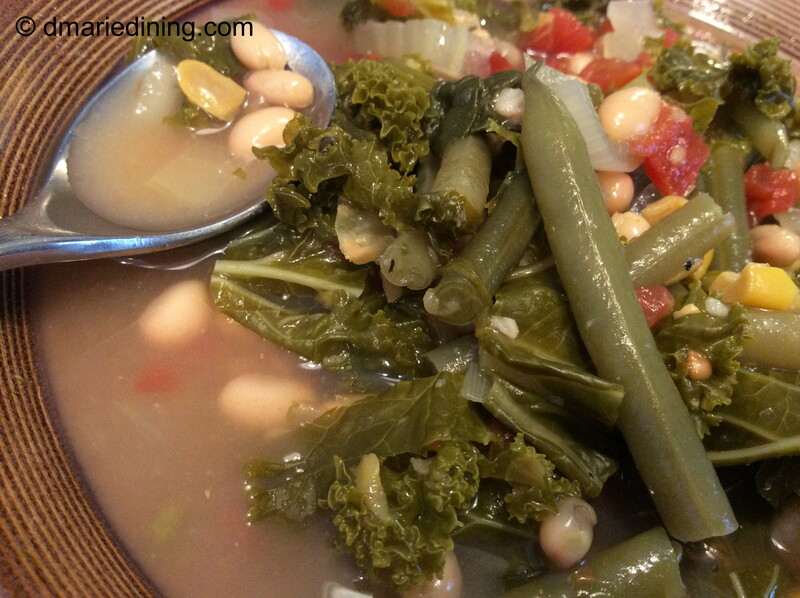 Both the beans and the kale are very healthy and full of vitamins and minerals that help increase energy and help to fight against many diseases. Smoked turkey is also a healthier choice compared to beef and adds a ton of flavor. 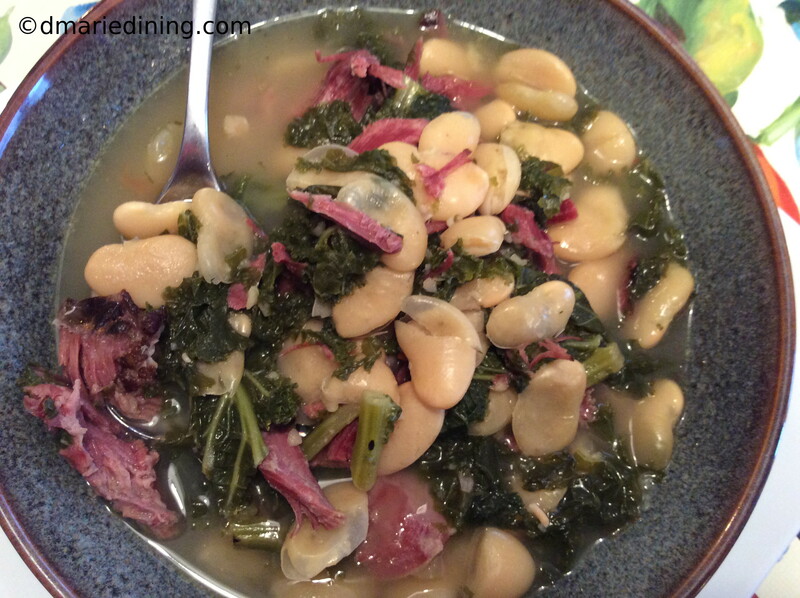 If you are looking for something unique and flavorful to fix the next time you want a hearty soup, try making a butter bean and kale soup. 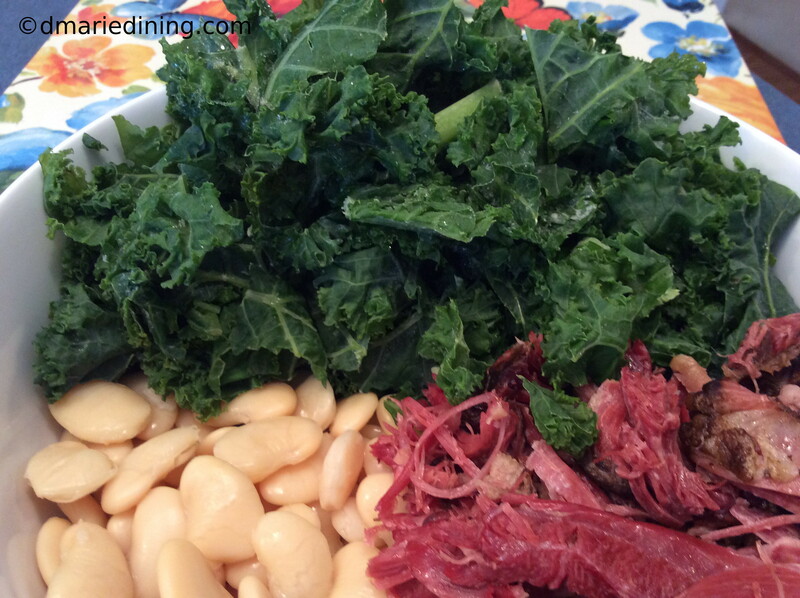 I think you will be pleasantly surprised at how good butter beans and kale are together. Cook turkey in a pressure cooker with 4 cups of water for 30 minutes. Strain 4 cups of broth into a large pot (may need to add a little more water). 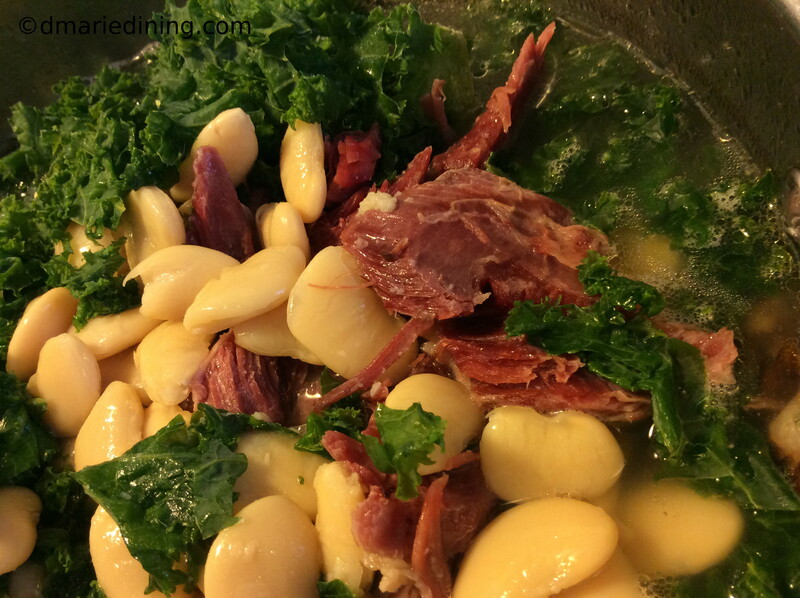 Add butter beans, kale, roasted garlic and sea to the broth. 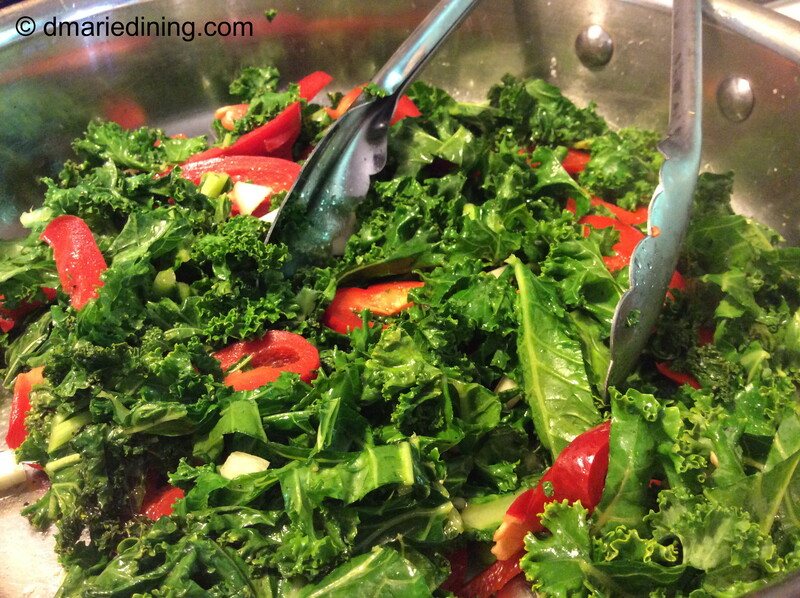 Stir and let simmer over medium heat for 25 – 30 minutes until kale is done. Optional: If using dried butter beans prepare according to package and use the turkey broth as the liquid for cooking. Add other ingredients half way through the cooking process for the beans. May also cook smoked turkey on the stove for 1 to 1 ½ hours until turkey is tender. 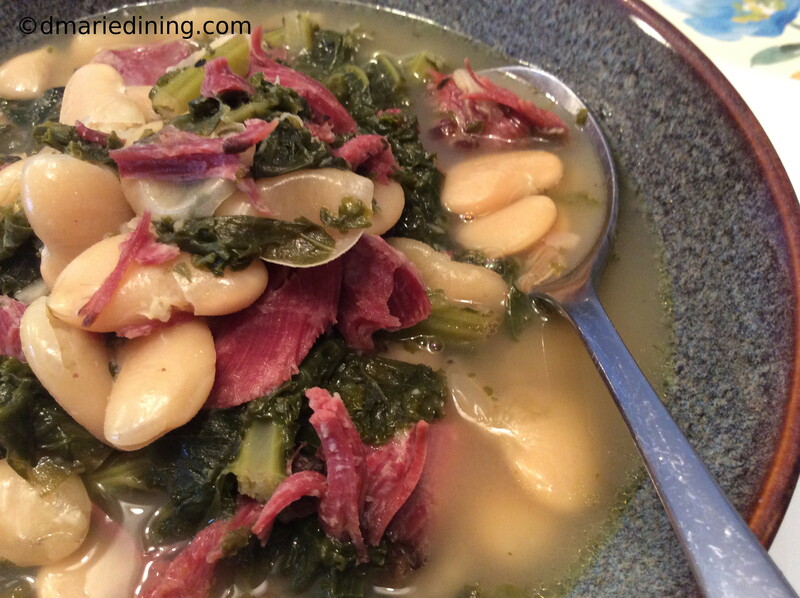 For a while now my hubby has been asking me to make a “brothy” soup. My most recent soups have been thick and rich like my Carrot soup and my Leek and Potato soup. Vegetable soup seemed a simple choice but I wanted to make a soup that reminded me of the fall weather and colorful changing leaves. I love to see the trees speckled with orange, red and green leaves. 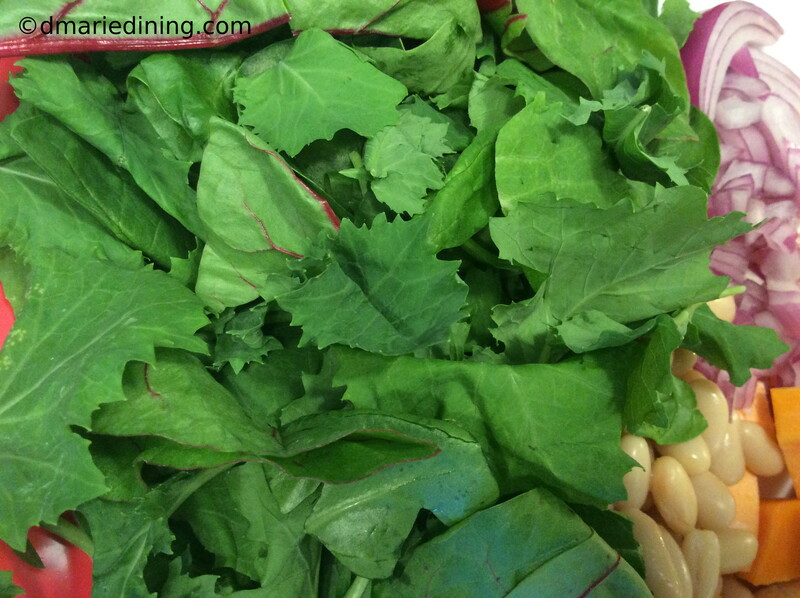 That was the inspiration for the butternut squash and mixed baby kale soup. 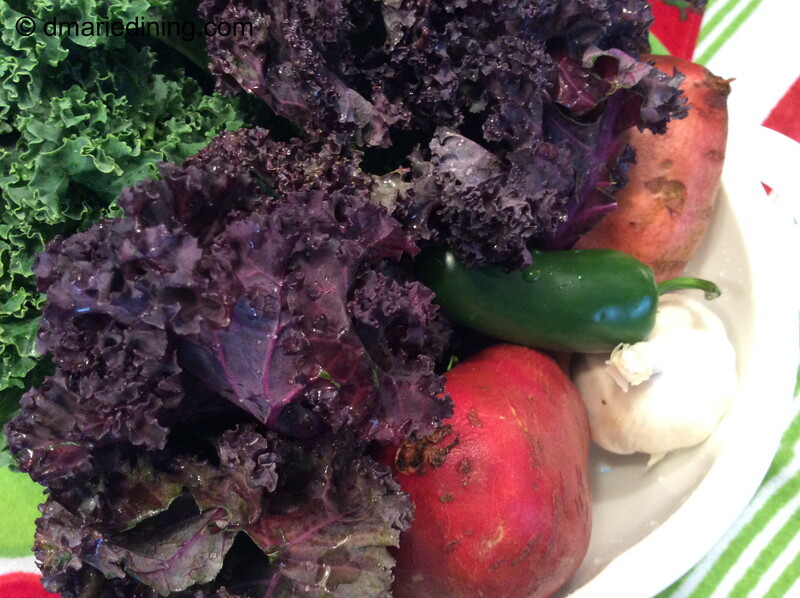 The soup is full of fall colors from the orange of the butternut squash, the red of the tomatoes and the bright green leaves of the mixed baby kale. I know. 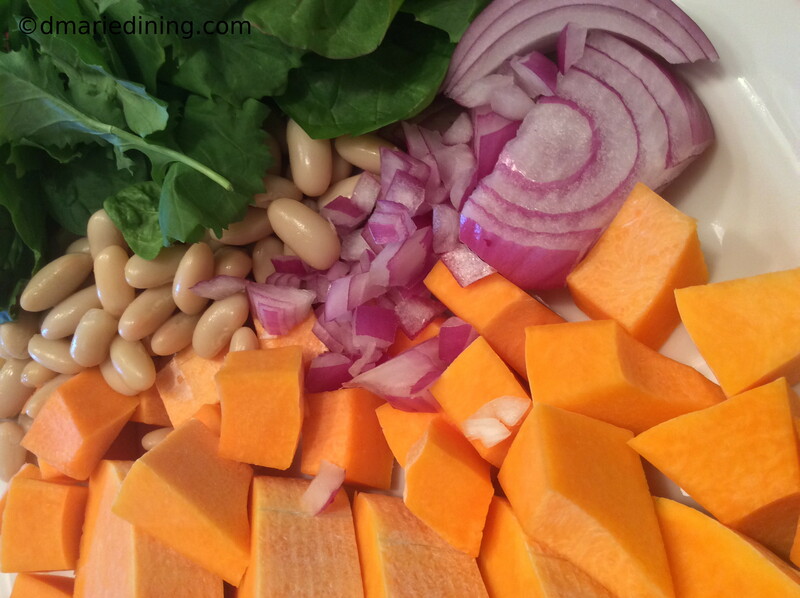 Daddy’s Butternut Squash and Mixed Baby Kale Soup is a long name. 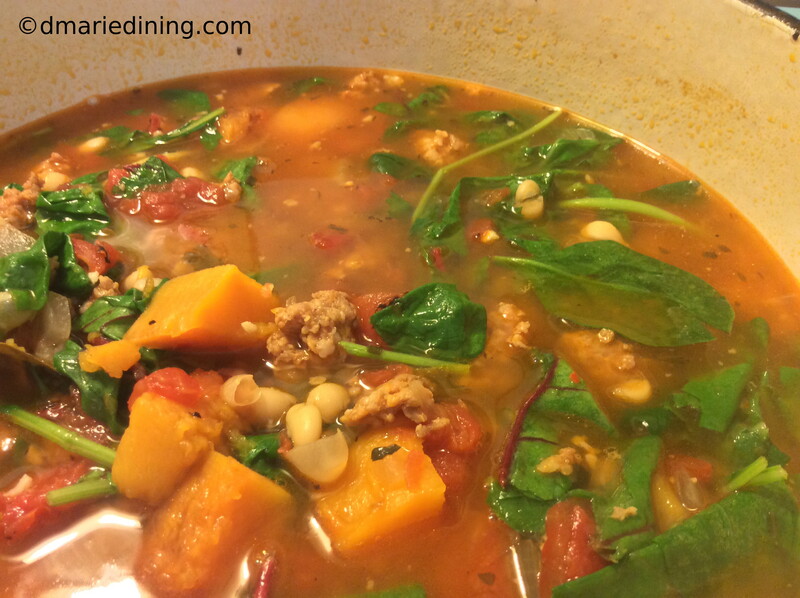 But, it would have been even longer if I added the names of some of the other ingredients that make this soup so delicious. I added Daddy’s to the title because my hubby claimed it to be his soup once he tasted it. 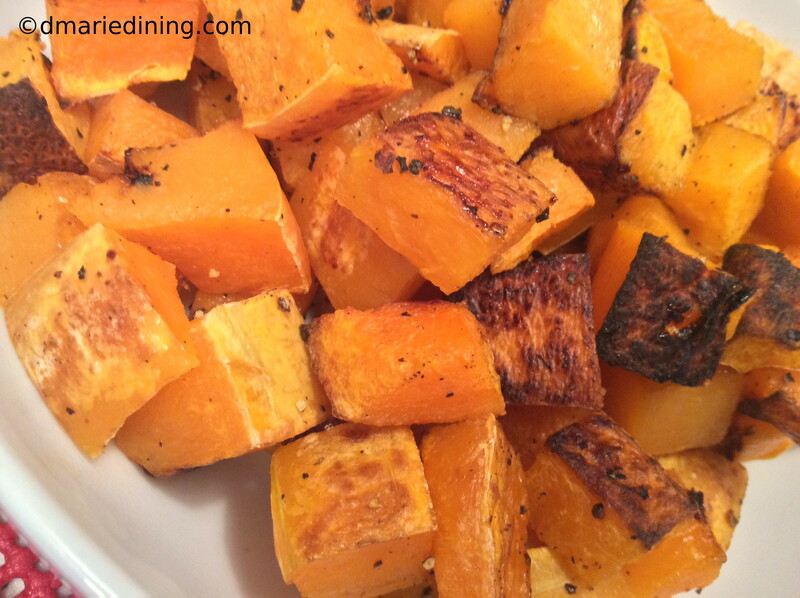 Butternut squash is quickly becoming one of my favorite vegetables. 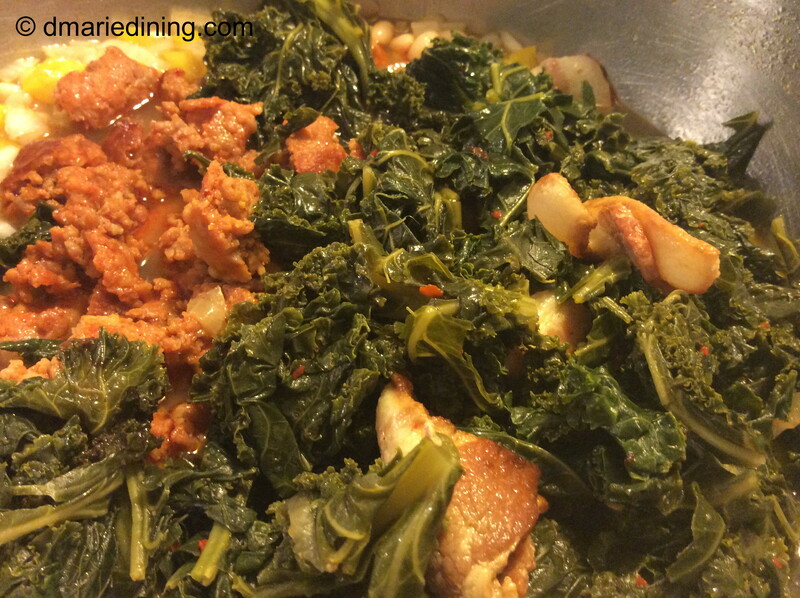 It is great all by itself or tastes even better when paired with vegetables like sweet potatoes or in this case mixed baby kale. 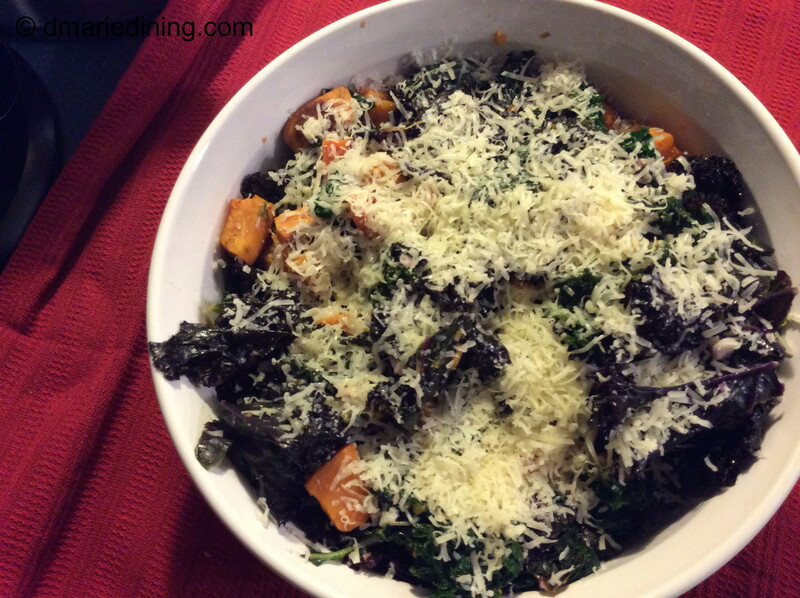 The sweetness of the butternut squash along with the slightly bitter kale and spicy Italian sausage created a wonderful combination of flavors that swirl in your mouth. It’s the little things in life that often inspire us whether it is leaves changing colors in the fall or a nice pot of hearty soup. 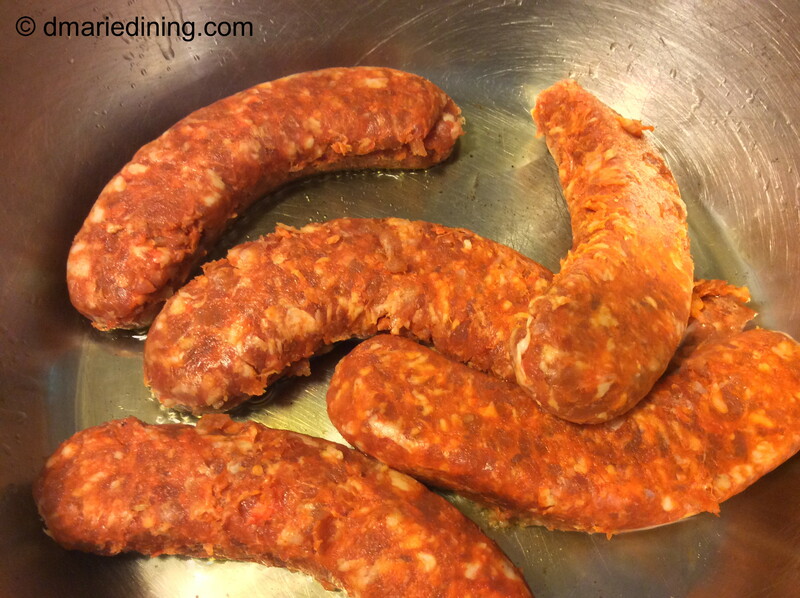 In a dutch oven or large pot brown sausage then drain on a paper towel. Set aside. Pour off grease from the sausage and add olive oil to the pot. 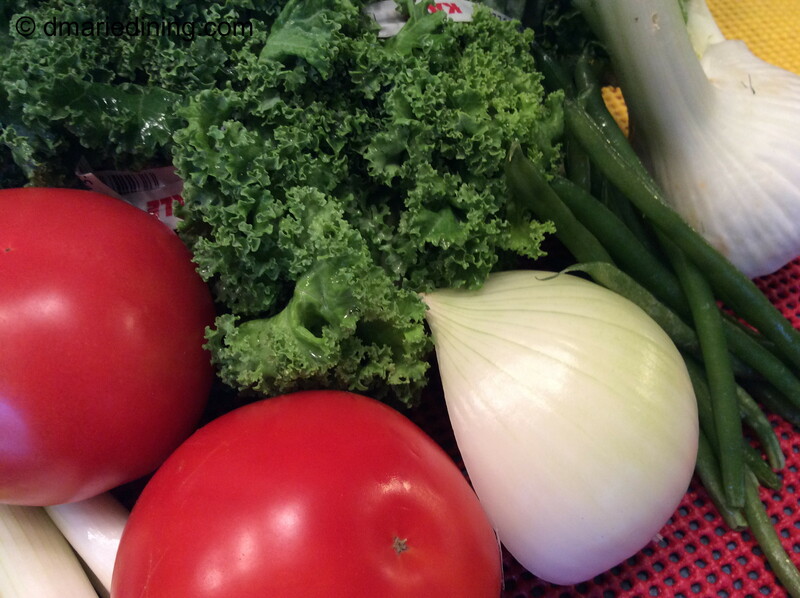 Add onions and Add broth, water, seasonings and bay leaf. Bring to a boil then reduce to medium heat. 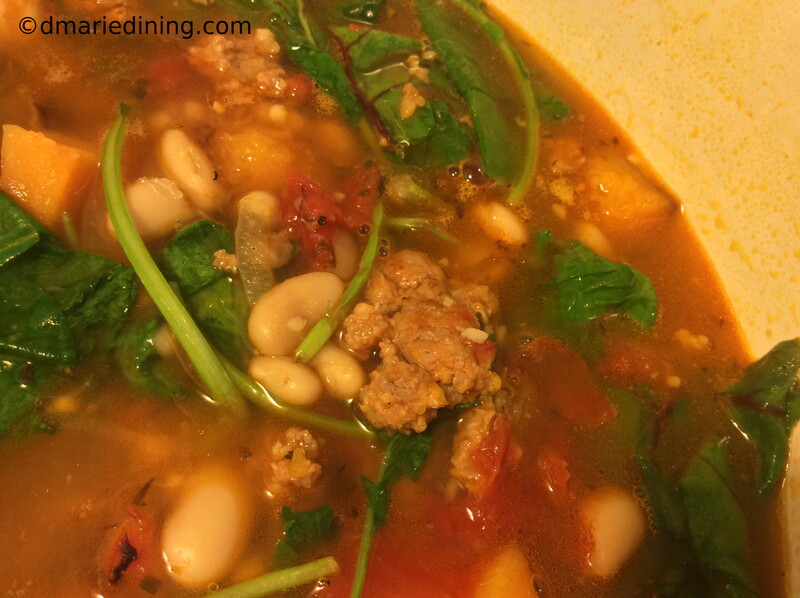 Add beans, tomatoes, sausage, butternut squash and lemon slices. Stir and cook for 25 minutes. 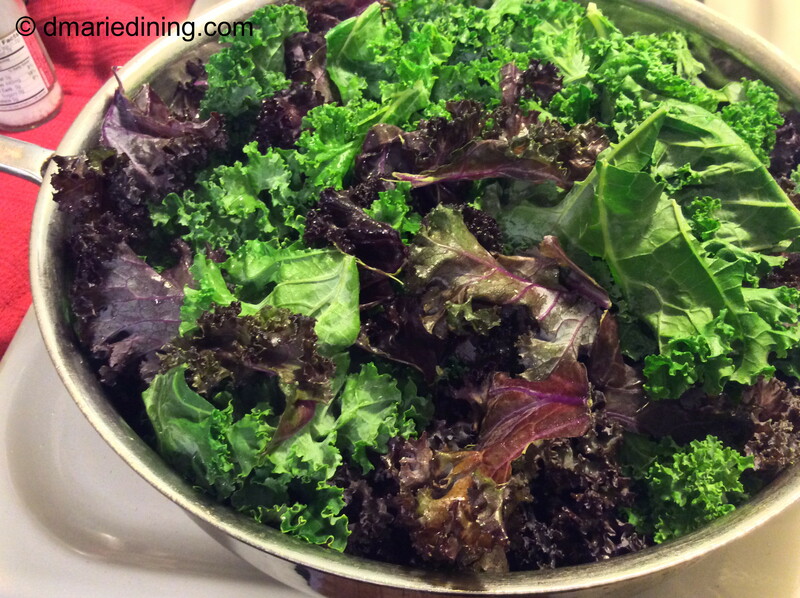 Add baby kale and cook an additional 10 minutes then turn off heat. 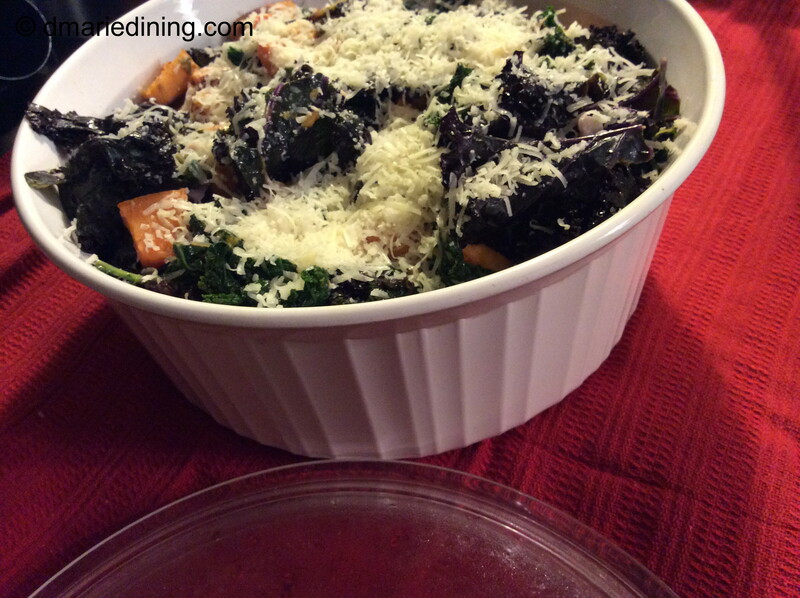 Serve with a sprinkle of shaved parmesan cheese or mozzarella cheese.